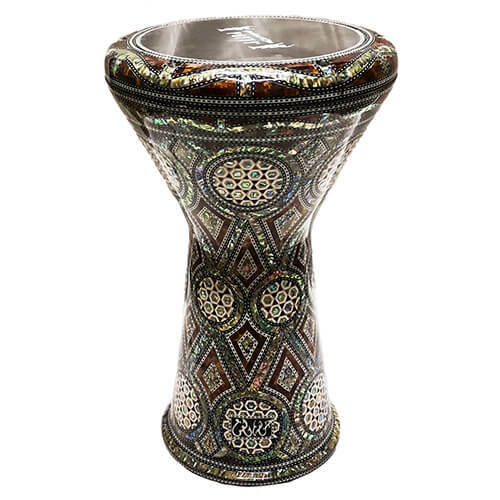 This beautiful oud comes directly from Egypt and was created by renowned craftsman Khaled Azooz, a maker specialized in floating bridges, iraki style ouds. This model has a very powerful sound with deep bass, the bowl is made of Padauk wood and the soundboard is made of Cedar. 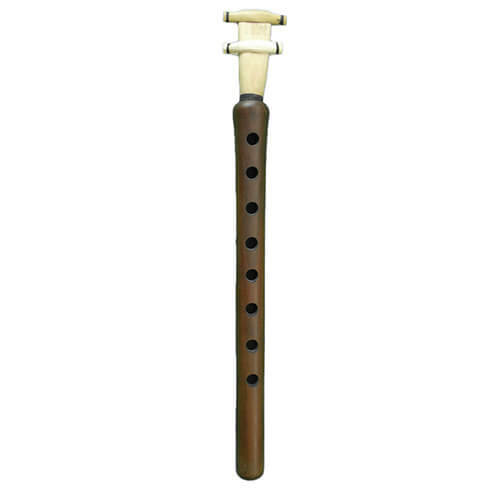 This instrument is handmade. It is very well finished and really enjoyable to play with an amazing reactivity. A padded cover high quality and 3 reeshe (plectrum) are delivered with the oud. 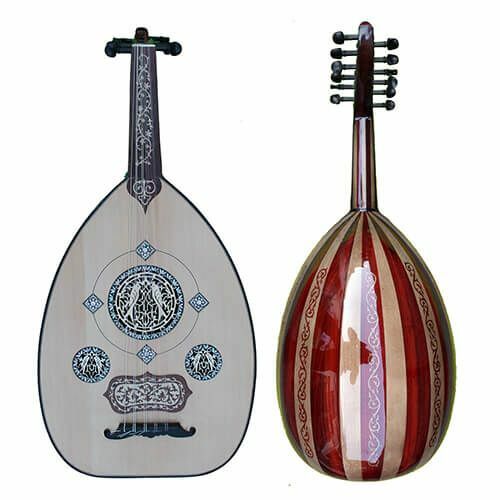 The oud is delivered with 11 Aquila strings but is suitable until 12 strings.